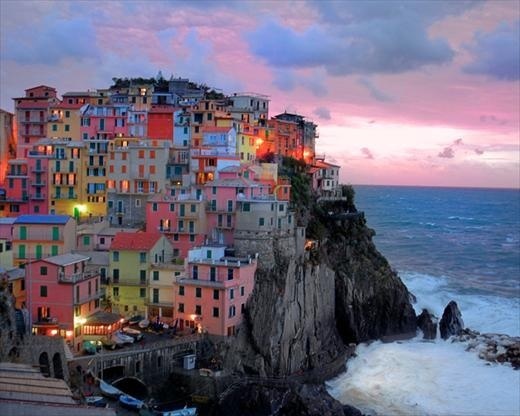 The villages of the Cinque Terre were severely affected by torrential rains which caused floods and mudslides on October 25, 2011. Nine people have been confirmed killed by the floods, and damage to the villages, particularly Vernazza and Monterosso al Mare, was extensive. There are few roads into the Cinque Terre towns that are accessible by car, and the one into Vernazza in particular is now open (June 2012 - but very narrow at many repair spots) to a parking area leading to a 1/2 mile walk to town after the October 2011 storm damage. It is best to plan not to travel by car at all but to park at La Spezia, for instance, and take the trains.